Stop crossing words! QI IQ is your ultimate tool to quickly memorize two-letter words popular word games like SCRABBLE ® and Words with Friends. Two-letter words are essential for playing your words alongside other words. This not only gives you more flexibility in word placement but it increases your score as you score each two-letter word (compound scoring). In just a few minutes here and there, you can drastically improve your two-letter word vocabulary. 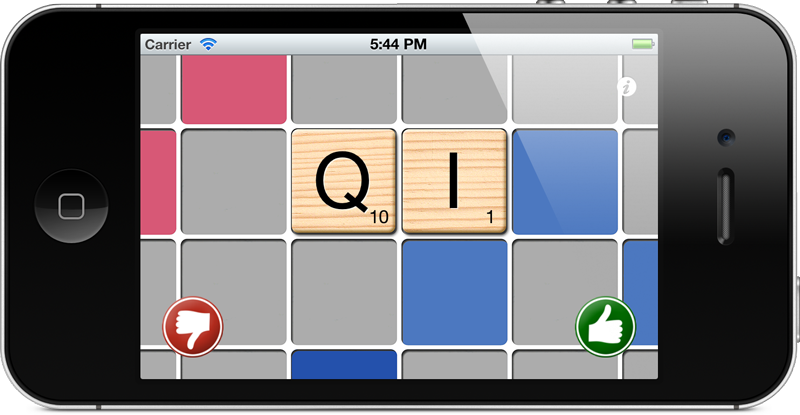 QI IQ drills you on which two letter combinations that are valid or invalid words for play in your favorite word games. As you practice, QI IQ tracks your progress and focuses on the two letter combinations that you are struggling with the most. Not only will your play options and compound scoring improve, but you’ll be better able to get rid of difficult high-point letters like Q, Z, K, and X. Sometimes a simple ‘YO’, ‘QI’, or ‘XI’ can hit a triple-letter square for big points. SCRABBLE is a trademark of Hasbro, Inc and J.W. Spear & Sons Ltd. Bananagrams is a trademark of Bananagrams, Inc. 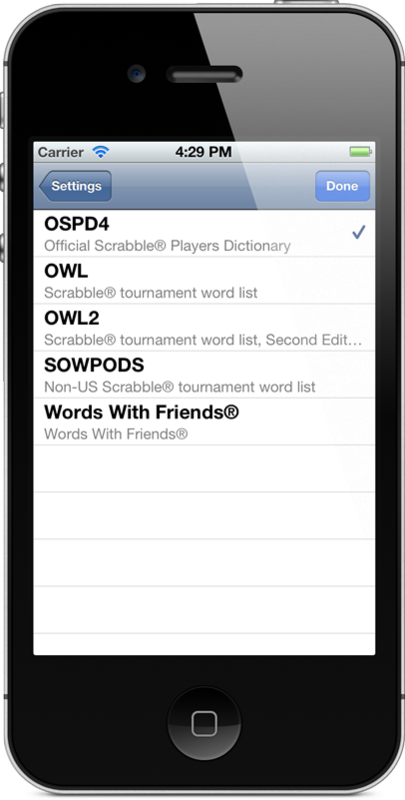 Words With Friends is a trademark of Zynga With Friends.